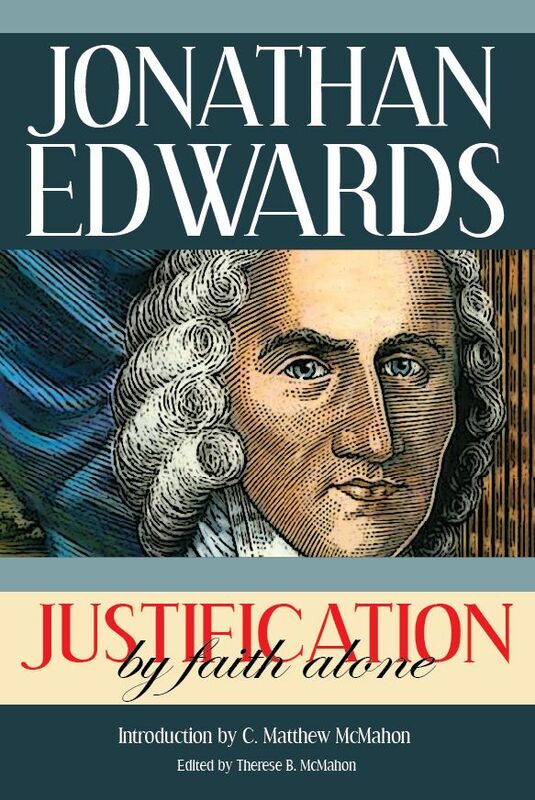 Edwards talks about how the Christian should look to and anticipate heaven. ff. Union with Christ. By virtue of the believer’s union with Christ, he does really possess all things. That we know plainly from Scripture. But it may be asked, how he possesses all things. What is he the better for it? How is a true Christian so much richer than other men? To answer this, I will tell you what I mean by possessing all things. I mean that God, three in one, all that he is, and all that he has, and all that he does, all that he has made or done, the whole universe, bodies and spirits, light, heaven, angels, men, and devils, sun, moon, stars, land, and sea, fish and fowls, all the silver and gold, all beings and perfections, as well as mere man, are as much the Christian’s as the money in his pocket, the clothes he wears, or the house he dwells in, or the victuals he eats. Yea, more properly his, more advantageously, more his than if he commanded all these things mentioned to be just in all respects as he pleased, at any time, by virtue of the union with Christ. Because Christ, who certainly does here possess all things, is entirely his, so that he possesses it all, more than a wife the property of the best and dearest of husbands, more than the hand possesses what the head does. All the universe is his, only he has not the trouble of managing it. But Christ, to whom it is no trouble to manage it, manages it for him a thousand times as much to his advantage as he could himself, if he had the managing of all the atoms in the universe. Everything is managed by Christ so as to be most to the advantage of the Christian. Every particle of air or every ray of the sun, so that he in the other world, when he comes to see it, shall sit and enjoy all this vast inheritance with surprising, amazing joy. And how is it possible for a man to possess anything more than so as shall be most to his advantage? And then besides this, the Christian shall have everything managed just according to his will, for his will shall so be left in the will of God, that he had rather have it according to God’s will than any way in the world. And who would desire to possess all things more than to have all things managed just according to his will? And then besides, he himself shall so use them as to be most to his own advantage in his thoughts, and mediations, etc. Now how is it possible for anyone to possess anything more than to have it managed as much as possible according to his will, as much as possible for his own advantage, and for himself to use it as much as possible according to his advantage? But it is certain that so far shall the true Christian possess all things. It is not a probable scheme, but absolutely certain. For we know that all things will be managed so as shall be most agreeable to his will: that cannot be denied, nor that it shall be most to his advantage, and that he himself shall use it most to his own advantage. This is the kingdom Christ so often promised. They shall be kings with a witness at this rate: this is the sitting in Christ’s throne, and inheriting all things promised to the victors in the Revelation, and the like in many other places. 5. Love Between Glorified Saints. There is no more reason why it should be a damp to the happiness of some in heaven that others are happier, than that their happiness should be damped by a bare possibility of greater happiness, supposing them to be all equal. For if they were all equal and all full of happiness, yet everyone would know that greater happiness is possible, absolutely, and possible for them if God had but enlarged their capacity. And why should not they who are actuated by pure reason desire it, as much as if it were actually enjoyed by some beings? For barely that it is enjoyed by other beings cannot possibly cause those that are actuated by pure reason, and whose desires in every respect are agreeable to reason to desire it, any more than if it was only possible to be enjoyed, and were never actually enjoyed by any. But instead of the superiority of some above others in happiness, being a damp on the happiness of those that are inferior, there is undoubted reason why it should be an addition to their happiness, and why it would rather be a detraction from their happiness if it were otherwise. For most certainly there is a pure, ardent, and inconceivably vehement, mutual love between the glorified saints, and this love is in proportion to the perfection and amiableness of the object loved. Therefore, seeing their love to them is proportional to their amiableness, it must necessarily cause delight when they see their happiness proportional to their amiableness, and so to their love to them. It will not damp any to see them loved more than themselves, for they shall have as much love as they desire, and as great manifestations of love as they can bear, and they themselves will love those that are superior in holiness as much as others, and will delight to see others love them as much as themselves. We are very apt to conceive that those that are more holy and more happy than others in heaven will be elated and lifted up above them, whereas their being superior in holiness implies their being superior in humility, or having the greatest humility. For humility is a part of holiness that is capable of degrees in the perfect state of heaven as well as other graces, not that the holiest shall think more meanly of themselves than the least holy. For they shall all be perfectly humble and perfectly free from pride, and none shall think more highly of themselves than they ought to think. But yet as they see further into the divine perfections than others, so they shall penetrate further into the vast and infinite distance there is between them and God, and their delight of annihilating themselves that God may be all, shall be greater. And besides, those that are highest in holiness, and so necessarily highest in happiness (for holiness and happiness are all one in heaven), instead of anything like despising those that are less holy and happy, will love those that are inferior to them more than they would do if they had not so much holiness and happiness, more than if they were but equal with them, and more than those do that are equal with them. This is certain: for the foundation of the saints’ love to each other will be their love to the image of God which they see in them. Now most certainly the holier a man is, the more he loves the same degree of the image, so that the holiest in heaven will love that image of God they see in the least holy more than those do that are less holy, and that which makes it beyond any doubt that this superior happiness will be no damp to them is this: that their superior happiness consists in their great humility, and in their greater love to them, and to God, and Christ, whom the saints look upon as themselves. These things may be said of this, beside what may be said about everyone being completely satisfied and full of happiness, having as much as he is capable of enjoying or desiring, and also what may be said about their entire resignation. For God’s will is become so much their own, that the fulfilling of his will, let it be what it may, fills them with inconceivable satisfaction. 105. Saints Increasing Knowledge in Eternity. That the glorified spirits shall grow in holiness and happiness in eternity, I argue from this foundation, that their number of ideas shall increase to eternity. How great soever the number of their ideas when they are first glorified, it is but limited. And it is evident the time will come when they shall have lived in glory so long that the parts of duration, each equal to a million million ages, that they have lived, will be more in number than their ideas were at first. Now we cannot suppose that they will ever entirely forget everything that has passed in heaven, and in the universe, for a whole million million of ages. It is undoubted that they never will have forgot what passed in their life upon earth, the sins they have been saved from, their regeneration, the circumstances which did heighten their mercies, their good works which follow them, their death, etc. They will without doubt retain innumerable multitudes of ideas of what passed in the first seventy years, so also they shall retain to eternity their ideas of what was done in the ages of the world, with relation to the church of God, and God’s wondrous providence with respect to the world of men. And can we then think that a whole million million ages of those great and most glorious things that pass in heaven shall ever be erased out of their minds? But if they retain but one idea for one such vast period, their ideas shall be millions of times more in number than when they first entered into heaven, as is evident, because by supposition the number of such ages will be millions of times more in number. Therefore, their knowledge will increase to eternity, and if their knowledge, then their holiness. For as they increase in the knowledge of God, and of the works of God, the more they will see of his excellency, and the more they see of his excellency, cateris paribus, the more will they love him, and the more they love God, the more delight and happiness will they have in him. See Note on Psa. 89:1-2. It will be objected that at this rate we might prove that the damned increase in perfection. I answer, no. For though it is true that they shall increase in knowledge, they will increase in odiousness in the same proportion. 137. The Thoughts of Glorified Saints. The saints in heaven will doubtless eternally exercise themselves in contemplation. They will not want employ this way, not in exercising their thoughts and study upon intricacies and seeming repugnance, to unfold them and discover another further and further that way, as it is here, but by viewing in their minds one thing after another, as they will naturally be led, and sweetly drawn by love and delight, and with such intenseness as the natural bent of their hearts will cause. Their sight shall reach further and further, and new things shall plainly present to their minds, without the mixture of any error. It is error always from whence intricacy proceeds, and seeming repugnance, and not from ignorance. The object of their thoughts shall be the glory of God, which they shall contemplate in the creation in general, in the wonderful make of it, particularly of the highest heavens and in the wonders of God’s providence. It shall most clearly and delightfully be manifested in the church of saints and angels, which they shall discover more and more by their conversation, assisting one another to discoveries in other things, and most of all mediate ways in the man Christ Jesus. They shall employ themselves in singing God’s praise, or expressing their thoughts to God and Christ, and also to one another, and in going from one part of heaven and of the universe to another, to behold the glories of God shining in the various parts of it. t it will be a very delightful consideration to them, that Christ Jesus dearly loves the other saints, and it will fill them with joy to see him manifesting his love to them. They again shall see the other saints rejoicing that Christ loves and delights in them. Singing is amiable, because of the proportion that is perceived in it: singing in divine worship is beautiful and useful, because it expresses and promotes the harmonious exercise of the mind. There will doubtless in the future world be that which, as it will be an expression of an immensely greater and more excellent harmony of the mind, so will be a far more lively expression of this harmony and shall itself be vastly more harmonious, yea than our air or ear, by any modulation, is capable of, which expressions and the harmony thereof shall be sensible, and shall in a far more lively manner strike our perception than sound. 182. The Pleasures of Heaven. How ravishing are the proportions of the reflections of rays of light, and the proportion of the vibrations of the air! And without doubt God can contrive matter so that there shall be other sort of proportions that may be quite of a different kind, and may raise another sort of pleasure in the sense, and in a manner to us now inconceivable, that shall be vastly more ravishing and exquisite. And in all probability the abode of the saints after the resurrection will be so contrived by God that there shall be external beauties and harmonies altogether of another kind from what we perceive here, and probably those beauties will appear chiefly in the bodies of the man Christ Jesus and the saints. Our animal spirits will also be capable of immensely more fine and exquisite proportions in their motions, than now they are, being so gross. But how much more ravishing will the exquisite spiritual proportions be that shall be seen in minds, in their acts between one spiritual act and another, between one disposition and another, and between one mind and another, and between all their minds and Christ Jesus, and particularly between the man Christ Jesus and the Deity, and among the persons of the Trinity, the supreme harmony of all! And it is out of doubt with me that there will be immediate intellectual views of minds, one of another, and of the Supreme Mind, more immediate, clear, and sensible than our views of bodily things with bodily eyes. In this world we behold spiritual beauties only mediated by the intervention of our senses, in perceiving those external actions which are the effects of spiritual proportion. Hereby the ravishingness of the beauty is much obscured and our sense of it flattened and deadened, but when we behold the beauties of mind more immediately than now we do the colors of the rainbow, how ravishing will it be! All that there wants in order to such an intellectual view, is that a clear and sensible apprehension of what is in mind should be raised in our own mind constantly according to such and such laws: for it is no other way that we perceive with our bodily eyes, or perceive by any of our senses. Then also our capacities will be exceedingly enlarged, and we shall be able to apprehend, and to take in more extended and compounded proportions. We see that the narrower the capacity the more simple must the beauty be to please. Thus, in proportion of sounds, the birds and brute creatures are most delighted with simple music, and in the proportion confined to a few notes, so little children are not able to perceive the sweetness of very complex tunes, where respect is to be had to the proportion of a great many notes together, in order to perceive the sweetness of the tune. Then perhaps we shall be able fully and easily to apprehend the beauty, or where respect is to be had to thousands of different ratios, at once to make up the harmony. Such kind of beauties, when fully perceived, are far the sweetest. 188. Music in Heaven. The best, most beautiful, and most perfect way that we have of expressing a sweet concord of mind to each other is by music. When I would form in my mind ideas of a society in the highest degree happy, I think of them as expressing their love, their joy, and the inward concord, and harmony, and spiritual beauty of their souls, by sweetly singing to each other. But if in heaven minds will have an immediate view of one another’s dispositions without any such intermediate expression, how much sweeter will it be! But to me it is probable that the glorified saints, after they have again received their bodies, will have ways of expressing the concord of their minds by some other emanations than sounds, of which we cannot conceive, that will be vastly more proportionate, harmonious, and delightful than the nature of sounds is capable of. And the music they will make will be in a measure capable of modulations in an infinitely more nice, exact, and fine proportion than our gross airs, and with organs as much more adapted to such proportions (see also M 95 and M 198). 206. Heaven. In heaven it is the direct reverse of what it is on earth, for there by length of time things become more and more youthful, that is, more vigorous, active, tender, and beautiful. 263. The Senses in Heaven. If the saints after the resurrection shall see by light, and speak and hear by sounds, it is probable that the medium will be infinitely finer, and more adapted to a distant and exact representation, so that a small vibration in sound, though the undulations may proportionally decrease according to the distance from their rise or fountain, yet may be conveyed infinitely farther with exactness before they begin to be confused and lost through the sluggishness of the medium, or through the bulk, the roughness, or tenaciousness of the particles, and the conveyance may likewise be with far greater swiftness. The organs also will be immensely more exquisitely perceptive, so that perhaps a vibration a thousand times less than can now be perceived by the ear, may be distinctly and easily perceived by them. And yet the organs may be far more able to bear a very strong vibration than ours in this state, and through niceness of the organ they shall be able to distinguish in the greatest multitude of sounds according to their distance and direction, more exactly by the ear than we do visible objects by the eye. And we know not how far they may clearly hear one another’s discourses. So the eye may be so much more sensible, and the medium of vision (the rays) so much more exquisite, that for ought we know they may distinctly see the beauty of one another’s countenances and smiles, and hold a delightful and most intimate conversation at a thousand miles distance. The light of the heavenly regions shall be the brightness of glorified bodies, and especially in the countenance, but chiefly that of the man Christ Jesus, and the glory of God, if there shall be any visible appearance representing the presence of the Deity. The light of the face of Christ will, for the above-mentioned cause, be an infinitely more excellent and delightful sort of refulgence than the light of this world. The brightness of the saints shall far excel that, but the splendor of the Sun of righteousness shall be immensely more sweet and glorious, except that the light of the bodies of the saints shall be some way or other a communication of the light of Christ, and then the difference will be rather in degree than in kind of brightness, as the light which is reflected from a lily is the same light, but less bright than that of the sun. This world is pleasant to us because the light is sweet, and the sensation is pleasant to the mind. How delightful a place then is heaven with its light, so much more fine, more harmonious, more bright, but yet easy and pleasant to behold! Vide Note on Rev. 21:11. Vide M 721, M 95, M 182. 371. Resurrection. The addition of happiness and glory made to the saints at the resurrection, it seems to me evident by the current of the Bible when it tells of those things, will be exceeding great. It is the marriage of the Lamb and the church. The state of things then is the state of perfection, and all the state of the church before, both in earth and in heaven, is a growing state. Indeed, the spirits of just men made perfect will be perfectly free from sin and sorrow: will have inexpressible, inconceivable happiness and perfect contentment. But yet part of their happiness will consist in hope of what is to come. They will have as much happiness as they will desire in their existing state, because they will choose to have the addition at that time, and in that order, which God has designed: it will be every way most pleasing, and satisfying, and contenting to them that it should be so. Their having of perfect happiness does not exclude all increase, nor does it exclude all hope, for we do not know but they will increase unhappiness forever. The souls of the saints may now have as much happiness as they, while separate, desire, and such happiness as so answers their nature in its present state, as to exclude all sort of uneasiness and disquietude, and yet part of that happiness, part of that sweet rest and contenting joy, consists in the sight of what is future. They do not desire that that addition should be now, they know that it will be most beautiful, most for God’s glory, most for their own happiness, and most for the glory of the church, and every way most desirable, that it should be in God’s order. But the more properly perfect and consummate state of God’s people of the church will be after the resurrection, and the whole is now only growing and preparing for that state. All things that are now done in the world, are but preparations for it. 1. Then the saints will be in their natural state of union with bodies, glorious bodies, bodies perfectly fitted for the uses of a holy glorified soul. 2. Then the body of Christ will be perfect, the church will be complete: all the parts of it in being, no part of it under sin or affliction, all the parts of it in a perfect state, and all the parts of it together no longer mixed with ungodly men. Then the church will be as a bride adorned for her husband, and therefore the church will exceedingly rejoice. 3. Then the Mediator will have fully accomplished his work, and will have destroyed and will triumph over all his enemies. Then Christ will fully have obtained his reward, then shall he have perfected the full design that was upon his heart from all eternity, and then Jesus Christ will rejoice and his members must needs rejoice with him. 4. Then God will have obtained the end of all his great works that he had been doing from the beginning. Then all the deep designs of God will be unfolded in their events, then the wisdom of his marvelous contrivances in his hidden, intricate, and inexplicable works will appear, the ends being obtained, and then God’s glory will more abundantly appear in his works, his works being perfect. This will cause a great accession of happiness to the saints who behold it. Then God will fully have glorified himself, and glorified his Son, and his elect. Then he will see that all is very good, and will rejoice in his own works, which will be the joy of all heaven. God will rest and be refreshed, and thenceforward will the inhabitants keep an eternal Sabbath, such an one as all foregoing Sabbaths were but shadows of. 5. Then God will make more abundant manifestations of his glory, and of the glory of his Son, and will pour forth more plentifully of his Spirit, and will make answerable additions to the glory of the saints, such as will be becoming the commencement of the ultimate and most perfect state of things, and as will become such a joyful occasion as the finishing of all things and the marriage of the Lamb. Then also the glory of the angels will receive proportional additions, for the evil angels are then to have the consummation of their reward. So that the good angels will have the consummation of their reward. This will be the day of Christ’s triumph, and the day will last forever. This will be the wedding day between Christ and the church, and this wedding day will last forever. The feast, and pomp, and entertainments, and holy mirth, and joys of the wedding will be continued to all eternity. 372. Joy in Heaven. It seems to be quite a wrong notion of the happiness of heaven that it is in that manner unchangeable, that it admits not of new joys upon new occasions. The Scriptures tell us that there is joy in heaven, and among the angels of God, upon the conversion of one sinner; and why not among the saints? And if there be new joy upon such an occasion, how great joy have they upon the conversion of nations, and the spiritual prosperity of the whole church on earth! It seems to me evident that the church in heaven have received new joys from time to time upon new occasions, ever since the first saint went to heaven. Their joy is continually increased as they see the purposes of God’s grace unfolded in his wondrous providences towards his church. Their happiness is increased as their number increases, as it will be greatly for the happiness of the body of Christ to be completed as it will be at the resurrection, so it is increasing as the body grows towards perfection. The coming of Christ Jesus, I believe, made an exceedingly great addition to the happiness of the saints of the Old Testament, who were in heaven, and especially was the day of his ascension a joyful day among them. Then Abraham, and David, and holy men that lived under the Old Testament, “received the promise,” which was matter of such joyful expectation to them when on earth. When Christ arose, many bodies of saints of the Old Testament that slept, arose and went to heaven with Christ, for it is unreasonable to suppose they only arose for a few days to die again. The saints must needs have new discoveries of God’s glory upon this occasion, as the angels had, Eph. 3:10; Luke 2:13-14; 1 Pet. 1:12. It is evident by those scriptures that the angels saw much more of the glory of God by these things, and if they did, undoubtedly the saints also. It was a great addition to the glory of heaven to have Jesus Christ God-man made their head. They had then far more near admittance unto God, and more familiar communication with him, and many other ways did this increase their happiness and their happiness has been exceedingly greater ever since. Thus the Old Testament prophecies of the glories and blessedness that should attend the coming of the Messiah, I believe, not only aimed at the glory that should be brought to the church on earth, by it, but to that part of the church that was in heaven. Thus, the church of Israel, those same saints to whom those promises were given, do receive them in heaven. I believe, also, that it greatly contributes to the happiness of the saints in heaven to see the success of the gospel after Christ’s ascension, and its conquering the Roman empire, and that they greatly rejoice at the Reformation from popery, and will exceedingly rejoice at the fall of antichrist and the conversion of the world to Christianity. Those things seem clear to me by many passages in the Revelation, and that their joy is increasing, and will be increasing, as God gradually in his providence unveils his glory, till the last day. 421. The Church in Heaven. It seems to me probable that that part of the church that is in heaven have been from the beginning of the world progressive in their light, and in their happiness, as the church on earth has, and that much of their happiness has consisted in seeing the progressive wonderful doings of God, with respect to his church here in this world. Thus Moses with great joy saw the promises of God fulfilled, in bringing the children of Israel into Canaan, with far greater satisfaction than he would have seen it on earth, because he could much better see the glorious ends God proposed by it, and his wonderful wisdom in that work. So those saints, who die now, before the accomplishment of the far more glorious things to the church that God has foretold which are not yet fulfilled, and for which they have prayed and waited, will see the fulfillment of them with greater satisfaction than if they lived upon the earth till they were accomplished. 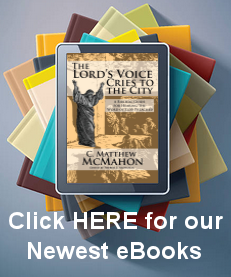 The church in heaven and the church on earth are more one people, one city, and one family, than is generally imagined. 430. Heaven: Various Offices. As there will be various members of different degrees in the body of Christ in heaven, so it seems to me probable that there will be members of various kinds and different offices, as it is in the church on earth. 1 Cor. 10. That is, there will be some especially distinguished for one grace, others for another; some of one manner of the exercise of grace, others of another; some fitted for this work, others for that. Everyone will have their distinguishing gift, one after this manner, and another after that: the perfection of the saints in glory nothing hindering. For that perfection will not be of such a kind that one saint may not be more eminent than another in grace, or that they shall not be capable of increasing, and so attaining to higher degrees, nor that one grace in the same saint shall not have a more remarkable and eminent exercise than others. And it is most probable, if it be so, that they shall excel most in the same grace, and the same kind of works, by which they were most distinguished on earth. God rewarding their graces and works by giving of them grace more abundantly of the same kind, as Christ has promised that “to him that hath shall be given.” This difference will be for the beauty and the profit of the whole: they will profit one another by their distinguishing graces. With respect to those graces, they will not be beyond being profited by one another, as well as delighted, as they will still be employed and improving themselves. 432. The Saint’s Sorrow for Sin. Though the saints in heaven will see their exceeding folly and vileness in much of their behavior here in this world, and will see a thousand times as much of the evil and folly of sin as they do now, yet they will not experience any proper sorrow or grief for it. For this reason: because they will perfectly see at the same time how that it is turned to the best to the glory of God, or at least will so perfectly know that it is so. And particularly they will have so much the more admiring and joyful sense of God’s grace in pardoning them, that the remembrance of their sins will rather be an indirect occasion of joy. Sorrow and grief for sin is a duty, because we are not capable of having so perfect views of those things. But that a right sense of the odiousness and folly of sin will, under all circumstances, necessarily cause grief, is not so clear. A sense of the great evil of sin is good, absolutely considered, but grief for sin is so only in a certain presupposed state and circumstance. 435. The Progressive State of Heaven. The church now in heaven is not in its fixed and ultimate, but in a progressive, subordinate, and preparatory state. The state which they are in is in order to another. In the employments in which they are now exercised, they look to that which is still future, to their consummate state, which they have not yet arrived at. Their present happiness is, in many respects, subordinate to a future, and God in his dealings with them has a constant and perpetual respect to the great consummation of all things. So it is both with respect to the saints and angels: all things in heaven and earth and throughout the universe, are in a state of preparation for the state of consummation. All the wheels are going, none of them stop, and all are moving in a direction to the last and most perfect state. As the church on earth is in a state of preparation for the resurrection state, so is that part of the church which is in heaven. It is God’s manner to keep things always progressive, in a preparatory state, as long as there is another change to a more perfect state yet behind. The saints in this world are progressive, and all things relating to them are subordinate and preparatory to the more perfect state of heaven, which is a perfect state, in that it is a state of freedom from sinful and uneasy imperfections. But when the saints are got to heaven, there is yet another great change yet behind. There is yet another state, which is that fixed and ultimate and most perfect state, for which the whole general assembly both in heaven and earth are designed, and therefore they are still progressive. Not but that I believe the saints will be progressive in knowledge and happiness to all eternity. But when I say the church is progressive before the resurrection, I mean that they are progressive with a progression of preparation for another and more perfect state. Their state is itinerary, viatory. Their state, their employments, their glory and happiness, are subordinate and preparatory to a future more glorious state. So the state of the devils and damned spirits is thus: only in order to a future state of more perfect misery. A criminal in a prison, or in a dungeon, suffers misery, but it is only a subordinate misery, being in order to his approaching execution: so they are spirits in prison, they are bound in chains of darkness to the judgment of the great day. Much of the misery of the devils and damned souls consists in fear. The devil is dreadfully afraid of his approaching punishment, as appears by his so crying out when he was afraid that Christ was going to execute it upon him. He beseeches him not to torment him, and says, “Art thou come to torment me before the time?” So much of the happiness of the saints and angels in heaven consists in hope. The church in heaven, as to the happiness it now has in Christ, compared with its ultimate happiness, is as it were, in a betrothed state. The introducing of the glorious state that succeeds the resurrection is like the marriage of the Lamb. The glorification of the separate soul is a marriage compared with its state in this world. The coming of Christ into the world, and introducing of the gospel state of the church, is a marriage with respect to the state of the church under the Old Testament. And the appearing of Christ incarnate in heaven upon his ascension, together with the great access of glory to the church, was like a marriage with respect to the state of the glorified church before, and the glorious times of the church on earth after the destruction of antichrist, will be like the marriage of the Lamb. But these are but lower steps, and in comparison of the final consummation, are but as betrothings, in order to that everlasting marriage of the church with the Lamb, which shall be in the end of the world. Much of the happiness of the saints now consists in beholding and contemplating the wonderful works of God, that are in order to the consummation, the works of God in his church, both in this world and in heaven. 529. The Saints Reign with Christ. There can be no doubt but that the saints in heaven shall see the flourishing and prosperity of the church on earth, for how can they avoid it, when they shall be with the King himself, whose kingdom this church is, and who as King manages all those affairs? Shall the royal family be kept in ignorance of the success of the affairs of the kingdom? They shall also be with the angels, those ministers by whom the King manages those affairs. In the flourishing of Christ’s kingdom here on earth consists much of Christ’s mediatorial glory, and of the reward that the Father promised him for his performing what he did on earth in the work of redemption. The happiness of the saints in heaven consists much in that, that they are with Christ, and are partakers with him in that glory and reward. The saints are not only with the King that reigns over this kingdom, but they reign with him in the same kingdom: they sit with him in his throne, and therefore it is said that they shall reign on earth. That is, when the time of the flourishing and prosperity of Christ’s kingdom comes on earth, when he shall reign here in such a glorious manner in his kingdom of grace, they shall reign with him. So they are said to reign with him a thousand years. Therefore doubtless they are not ignorant of the flourishing of the church here on earth. Can it be supposed that the saints in heaven had not notice of Christ’s incarnation and did not know what he did here upon earth, and that they had no notice when he was crucified and buried, and rose again. And if not, why should they be ignorant of what succeeded, or of the pouring out of the Holy Ghost at Pentecost, and how the kingdom, of which Christ had thus laid the foundation, flourished? Why should their knowledge of the affairs of Christ’s kingdom on earth cease, as soon as Christ was ascended? The saints in heaven are under infinitely greater advantages to take the pleasure of beholding how Christ’s kingdom flourishes than if they were here upon earth. For they can better see and understand the marvelous steps that divine wisdom takes in all that is done, and the glorious ends he accomplishes, and what opposition Satan makes, and how he is baffled and overthrown. They can see the wise connection of one event with another, and the beautiful order of all things that come to pass in the church in different ages, that to us appear like confusion. They will behold the glory of the divine attributes in his works of providence infinitely more clearly than we can. The greatest objection that I think of against this is the prayer of Simeon, who had it revealed to him that he should not see death before he had seen the Lord’s Messiah, and when he saw him, said, “Now lettest thou thy servant depart in peace, for mine eyes have seen thy salvation:” as though he should have missed of the pleasure and satisfaction of seeing this salvation, if he had died before. But shall we conclude from hence that if Simeon had died before, he would not have known of Christ’s birth? He surely at least would have seen this salvation then, when Christ ascended into heaven. But the case was this: Simeon was now more willing to die, more willing to venture his soul into another world, and could die in much stronger hope, because his faith in God’s salvation was abundantly strengthened by this sight. He had the greater assurance that when he did depart, he should depart in peace for his eyes had actually seen the salvation which God had provided for souls, and was therefore more fully persuaded that his soul should be safe and happy in a future state. Or if otherwise, it was because the state of separate souls in that particular was not known to him. Indeed it is desirable to live to see the flourishing of God’s church upon this account: that those saints who live to see it will probably be partakers in that spiritual prosperity. Their souls will receive a portion of the Spirit that is then plentifully poured out, and so will be increased in grace and holiness. Their own souls will prosper and will be partakers of the prosperity of the church. And besides, they will have a more glorious opportunity to do good, in having a hand in promoting that public prosperity. An objection may be raised from Ecc. 9:6. The dead “have no more a portion for ever in any thing done under the sun;” but see an answer in my notes on the verse. 546. Heaven Contrasted with Hell Torments. It may possibly seem strange that the torments of the wicked should be so great, while they are only in prison, in order to their judgment and punishment. But there is no difference in God’s dealing with sinners in this respect, from the treatment of malefactors by human judges and rulers, but what naturally arises from the difference of the nature and qualifications of the judges, and the difference of the ends of judgment. Men commit supposed malefactors to prison, in order to a determination whether they are guilty or no, the matter not being yet sufficiently determined. But God, who imprisons wicked men, certainly and infallibly understands whether they are guilty or not. They are not imprisoned that it may be determined whether they are guilty, but because it is determined and known that they are. The end of human judgment is to find out whether a man be guilty or no, but the end of divine judgment is only to declare their guilt, and God’s righteousness in their punishment. The guilt of wicked men is infallibly determined when they die. It is fit therefore that they should be bound in chains of darkness and misery. It is fit that God’s enemies, and rebels against him, and the objects of his eternal wrath, should be imprisoned in dark and dismal recesses while they are reserved for execution. It is fit that the prison of the objects of divine wrath should be a doleful horrid abode. So it is fit that those who are his elect, whom he has chosen to make the objects of his love, should be reserved in a paradise in order to that consummation. It is fit that the church, which is the bride, the Lamb’s wife, should be reserved in a blissful abode previous to the time of marriage. It is fit that in the mean time it should have blessed communion and conversation with God. The glorification of the souls of the saints at their death is a marriage in comparison of their conversion, and their state of grace, but it is a state of betrothment compared with the glory that shall be after the resurrection. So the state of the damned separate spirits, though it be inexpressibly doleful, is yet but as a confinement in chains, and a dark dungeon in order to execution, in comparison of their misery after the day of judgment. See Note on Mat. 18:34. 571. Heaven: Wisdom and the Gloriousness of the Work of Redemption. When the saints get to heaven, they shall not merely see Christ and have to do with him, as subjects and servants with a glorious and gracious Lord and Sovereign, but Christ will most freely and intimately converse with them as friends and brethren. This we may learn from the manner of Christ’s conversing with his disciples here on earth. Though he was the supreme Lord of the disciples, and did not refuse, yea, required, their supreme respect and adoration, yet he did not treat them as earthly sovereigns are wont to do their subjects. He did not keep them at an awful distance, but all along conversed with them with the most friendly familiarity as with brethren, as a father amongst a company of children. So he did with the twelve, and so he did with Mary, and Martha, and Lazarus. He told his disciples that he did not call them servants, but he called them friends. So neither will he call his disciples servants, but friends, in heaven. Though Christ be in a state of exaltation at the right hand of God, and appears in an immense height of glory, yet this will not hinder his conversing with his saints in a most familiar and intimate manner. He will not treat his disciples with greater distance for his being in a state of exaltation, but he will rather take them into a state of exaltation with him. This will be the improvement Christ will make of his own glory, to make his beloved friends partakers with him, to glorify them in his glory, as Christ says to his Father, John 17:22-23, “And the glory which thou hast given me, have I given them, that they may be one, even as we are one, I in them,” etc. For we are to consider that though Christ be greatly exalted, yet he is exalted not as a private person for himself only, but he is exalted as his people’s head, and he is exalted in their name, and upon their account, and as one of them, as their representative, as the first-fruits. He is not exalted that he may be more above them, and be at a greater distance from them, but that they may be exalted with him. The exaltation and honor of the head is not to make a greater distance between the head and the members, but the members and head have the same relation and union as they had before, and are honored with the head. When believers get to heaven, Christ will conform them to himself, and he will give them his glory. They shall in their measure be made like to him, and their bodies after the resurrection shall be conformed to his glorious body. Christ, when he was going to heaven, comforted his disciples with that: that after a while he would come and take them to himself, that they might be with him again. And we are not to suppose when the disciples got to heaven, though they found their Lord in a state of infinite exaltation, yet that they found him any more retiring or keeping at a greater distance from them than he used to do. No, he embraced them as friends, he welcomed them home to their common Father’s house, and he welcomed them to their common glory: those who had been his friends here in this world, that had been together here, had lived here together, and partook of sorrows and troubles. He now welcomed them to their rest to partake of glory with him, and he took them and led them into his chambers, and showed them all his glory, as Christ prayed, John 17:24, “Father, I will that they also, whom thou hast given me, be with me where I am, that they may behold my glory which thou hast given me.” And there ensued without doubt a most pleasant and free conversation between Christ and his disciples when they met together in their common rest and glory. Christ did not behave with greater distance towards his disciples, after they had seen his transfiguration, than before: no, nor after his resurrection, nor will he in his highest exaltation in heaven. Christ took on him man’s nature for this end, that he might be under advantage for a more familiar conversation than the infinite distance of the divine nature would allow of, and such a communion and familiar conversation is suitable to the relation that Christ stands in to believers, as their representative, their brother, and the husband of the church. The church being so often called the spouse of Christ, intimates the greatest nearness, intimacy, and communion with God. Christ will conform his people to himself, and he will give them his glory, the glory of his person. Their souls shall be made like his soul, and their bodies like to his glorious body. They shall partake with him in his riches, as co-heirs in his pleasures. He will bring them into his banqueting house, and they shall drink new wine with him. They shall partake with him in his dominion, and they shall sit with him in his throne, and shall rule over the nations. They shall partake with him in the honor of judging the world at the last day. When Christ shall descend from heaven in the glory of his Father, in such awful and dreadful majesty, with all his holy angels, and all nations shall be gathered before the saints, at the same time shall they be as familiar with Christ as his disciples were when he was upon earth. They shall sit with him to judge with him. As Christ died as the head of believers, and in their name, and was exalted in their name, so shall he judge the world as their head and representative. It was God’s design in this way to confound and triumph over Satan, viz. by making man, whom he so despised, and envied, and thought to have had as a slave to lord it over, and thought to have glutted his own pride, and malice, and envy with his blood, and in his everlasting misery: — I say, by making man his judge. It was God’s design that the elect of mankind should be Satan’s judge, and therefore the head of them, the elder brother of them, is appointed to this work in the room of the rest, and the rest are to be with him in it. God gave Christ “authority to execute judgment, because he is the Son of man,” John 5:27, partly upon this account we have mentioned. The conversation of Christ’s disciples in heaven shall in many respects be vastly more intimate than it was when Christ was upon earth (vide Note on John 20:17), for in heaven the union shall be perfected. The union is but begun in this world, and there is a great deal remains in this world to separate and disunite them, but then all those obstacles of a close union and most intimate communion shall be removed. When the church is received to her consummate glory, that is her marriage with Christ, and therefore doubtless the conversation and enjoyment will be more intimate. This is not a time for that full acquaintance, and those manifestations of love, which Christ designs towards his people. When saints shall see Christ’s divine glory and exaltation in heaven, this will indeed possess their hearts with the greater admiration and adoring respect. Yet this will not keep them at a distance, but will only serve the more to heighten their surprise and pleasure, then they find Christ condescending to treat them in such a familiar manner. The saints being united to Christ, shall have a more glorious union with, and enjoyment of, the Father, than otherwise could be. For hereby their relation becomes much nearer: they are the children of God in a higher manner than otherwise they could be. For being members of God’s own Son, they are partakers of his relation to the Father, or of his Sonship. Being members of the Son, they are partakers of the Father’s love to the Son and his complacence in him. John 17:23, “I in them, and thou in me: — thou hast loved them as thou hast loved me;” and John 17:26, “That the love wherewith thou hast loved me may be in them;” and John 16:27, “The Father himself loveth you, because ye have loved me, and have believed that I came out from God.” So they are, in this measure, partakers of the Sons’ enjoyment of his Father. They have this joy fulfilled in themselves, and by this means they come to a more familiar and intimate conversing with God the Father than otherwise ever would have been. For there is, doubtless, an infinite intimacy between the Father and the Son, and the saints being in him shall partake with him in it, and of the blessedness of it. Such is the contrivance of our redemption. Thereby we are brought to an immensely more glorious and exalted kind of union with God and enjoyment of him, both the Father and the Son, than otherwise could have been. For Christ being united to the human nature, we have advantage for a far more intimate union and conversation with him than we could possibly have had if he had remained only in the divine nature. So we being united to a divine person, can in him have more intimate union and conversation with God the Father, who is only in the divine nature, than otherwise possibly could be. Christ, who is a divine person, by taking on him our nature, descended from the infinite distance between God and us, and is brought nigh to us, to give us advantage to converse with him. So on the other hand, we, by being in Christ, a divine person, ascend nearer to God the Father, and have advantage to converse with him. This was the design of Christ, to bring it to pass that he, and his Father, and his people, might be brought to a most intimate union and communion, John 17:21-23, “That they all may be one, as thou, Father, art in me and I in thee, that they also may be one in us, that the world may believe that thou hast sent me; and the glory which thou hast given me have I given them, that they may be made perfect in one.” Christ has brought it to pass, that those that the Father has given him should be brought into the household of God, that he and his Father and they should be as it were one society and one family, that his people should be in a sense admitted into the society of the Three Persons in the Godhead. In that family or household, God is the Father; Jesus Christ is his only-begotten and eternal Son; the saints, they also are children in the family, they have all communion in the same Spirit, the Holy Ghost. Corollary 1. Seeing that God has designed men for such exceeding exaltation, it was but agreeable to his wisdom to bestow in such a way as should abase man and exalt his own free grace, and wherein man’s entire, and absolute, and universal dependence on God should be most evident and conspicuous. Corollary 2. It is easy to observe the wisdom of God, that seeing he designed man for such a height of glory, that it should be so ordered that he should be brought to it from the lowest depths of wretchedness and misery. Corollary 3. Hence we may learn something how vastly greater glory and happiness the elect are brought to by Christ than that which was lost by the fall, or even than that which man would have attained to if he had not fallen. For then man would never have had such an advantage for an intimate union and converse with the Father or Son: Christ remaining at an infinite distance from man in the divine nature, and man remaining at an infinite distance from the Father, without being brought nigh by an union to a divine person. Corollary 4. Hence we may see how God has confounded Satan in actually fulfilling that which was a lie in him, wherewith he deluded poor man and procured his fall, viz. that they should be as gods. When Satan said so, he did not think that this would really be the fruit of it. He aimed at that which was infinitely contrary, his lowest depression, debasement, and ruin. But God has greatly frustrated him in fulfilling of it, in making the issue of eating that fruit to be the advancement of the elect to such a union with the persons of the Trinity and communion with them in divine honor and blessedness. And particularly he united one of them, the head and representative of the rest, in a perfect union with the Godhead, and so to the honor, dominion, and work of God in ruling the world, judging it, and particularly in judging the devils, in which all the rest of the elect, according to their measure, partake with him. 1. It seems to me that what the apostle mentions here as matter of comfort to mourners is not only that their departed friends, though dead, shall be happy (they are not so miserable in being dead as persons are ready to imagine, because they shall rise again), but that they shall meet them and see them again, seems to be intimated in the manner of expression, “God shall bring them to them.” Christians mourn when their near friends are dead, because they are departed and gone: they are parted from them. But when they rise God shall bring them to them again, and this is further confirmed by the following verses, especially the 17th and 18th, “Then we which are alive and remain shall be caught up together with them in the clouds to meet the Lord in the air; and so shall we ever be with the Lord: wherefore comfort one another with these words.” Where the apostle may well be understood that they should comfort one another, when mourners, with the consideration that they should be hereafter again with their departed friends, and in a glorious and happy state. 2. I think it is evident hereby that there will be something else that will be comfortable in meeting them in a future state than in seeing other saints. The apostle doubtless mentions it as what may be a comfortable consideration to them, that they shall again see and converse with the same persons, implying that they will have a different comfort in seeing them from what they would in seeing other saints. Otherwise, why did the apostle mention it for their comfort, that they should see them again, rather than any other saints that they had seen or heard of? The apostle’s speaking thus to the Thessalonians, might give them just ground to expect that that peculiarly dear affection which they cherished for their departed friends, which was crossed by their departure, would be again gratified by meeting them again, for this crossing of that affection was the ground of their mourning. If the Thessalonians knew that to see their friends again in another world would be no gratification to their affection which they had to them as their friends, and did no way think or conceive of it as such, then to think of it would be no more comfort to them, or remedy to their mourning, than to think that they should see any other saint that lived and died in another country or a past age, and that because it would be no remedy to the ground and foundation of their mourning, viz. the crossing of their affections to them as their friends. And if it would be no remedy to their mourning to think of it, it never would have been mentioned to them by the apostle as a ground of comfort, or a reason why they need not mourn. That was what they mourned for, viz. that they should not have their affections towards them gratified by seeing of them, conversing with them, etc. That was what the heathen, here spoken of, that have no hope, mourned excessively for: that they should never more have that affection gratified. The apostle here would inform them that they have not this ground to mourn which the heathen had, because they should have their affection gratified again. Hence it follows that the special affection which the saints have in this world to other saints, who are their friends, will in some respect remain in another world. I do not see why we should not suppose that saints that have dwelt together in this world and have done and received kindness to each other’s souls, have been assistant to each other’s true happiness, should not love one another with a love of gratitude for it in another world, and that the joy in meeting those and seeing their happiness is part of that joy that is spoken of, 2 Cor. 1:14, “As also ye have acknowledged us in part, that we are your rejoicing, even as ye also are ours in the day of the Lord Jesus;” and 1 Thes. 2:19-20, “For what is our hope, or joy, or crown of rejoicing? are not even ye in the presence of the Lord Jesus Christ at his coming? For ye are our glory and joy.” Or why those that have loved one another with a virtuous love, and from such a love have shown kindness one to another, should not love one another the better for it in another world? God and Christ will reward them and favor them the more for such love and all the fruits of it, to all eternity, and I do not see why they should not love one another the more for it. Neither do I see how it argues infirmity for a saint in glory to have a special respect to another, because God made use of him as an instrument to bring him into being and so is the remote occasion of his eternal blessedness; or because he himself was the occasion of bringing the other into being; or that the same agreeableness of temper, which is the foundation of special friendship here, may be so also in another world; or even that a former acquaintance with persons and their virtues may occasion a particular respect in another world. They may go to heaven with a desire to see them upon that account. The idea that they have of them by their acquaintance here, may be what they carry to heaven with them, and the idea we have of the proper object of our love may be an occasion of the exercises of love, especially towards that object, and more than towards another of which we have not the idea. This should move us to lay religion and virtue on the foundation of all our friendship, and to strive that the love we have to our friends be a virtuous love, duly subordinated to divine love, for, so far as it is so, it will last forever. Death does not put an end to such friendship, nor can it put an end to such friends’ enjoyment of each other. 889. Heaven: The Church’s Eternal Abode. The house not made with hands is eternal in the heavens, but if the saints’ abode in heaven be temporary as well as their abode on earth, it would not be said so. Their house there would be but a tabernacle as well as here. By the house eternal in the heavens, it is evident there is some respect had to the resurrection body, which proves that the place of the abode of the saints after the resurrection will be in heaven as well as before. If the saints were only to stay in heaven till the resurrection, then they would be pilgrims and strangers in heaven, as well as on earth, and the country that the saints of old declared plainly that they sought, though they were in possession of the earthly Canaan, will be but a temporary Canaan, as well as the earth: and in some respects more so, because the earth is to be their eternal abode (though changed), and not heaven. We are directed to lay up treasure in heaven, as in a safe place, where it will be subject to no change or remove. The names of the saints are written or enrolled in heaven, and they have their citizenship in heaven, as being their proper fixed abode where they belong, and where they are to be settled. The inheritance incorruptible, is reserved in heaven for the saints, and they are kept by the power of God to this salvation, ready to be revealed in the last time, or at the day of judgment. So that the inheritance in heaven is the saints’ proper, incorruptible, and everlasting inheritance. And the saints shall be so far from changing the place of their abode in heaven for an abode on a renewed earth at the day of judgment, that this is the proper time of the church’s being translated to this incorruptible inheritance in heaven, and the whole army of Israel’s passing Jordan to that inheritance. For that is the last time wherein this salvation shall be revealed. The Lord from heaven does not come to give his elect the country of the earthly Adam only renewed to the paradisiacal state wherein the earthly Adam enjoyed it. Col. 1:5, “For the hope which is laid up for you in heaven.” The proper time of the reward of the saints is after the resurrection, as is evident by Luke 14:14, “But thou shalt be recompensed at the resurrection of the just.” And the proper place of that reward is heaven, as is evident by Mat. 5:12, “Rejoice and be exceeding glad, for great is your reward in heaven. “ Heb. 10:34, “Ye have in heaven a better and an enduring substance.” And the time when the apostle encourages them that they shall receive this enduring substance in heaven, is when Christ comes to judgment, as is evident by the three following verses. Christ is entered into the holiest of all, and is set down forever on the right hand of God in heaven, and therefore will not eternally leave heaven to dwell in this lower world in a renewed state. Christ ascended into heaven as the forerunner of the church, and therefore the whole church shall enter there, even that part that shall be found alive at the day of judgment. Christ entered into heaven with his risen and glorified body, as an earnest of the same resurrection and ascension to the bodies of the saints. Therefore, when the bodies of the saints shall rise, they shall also ascend into heaven. See M 743, No. 1184. 1122. Heaven Perfected. The external heaven surrounds Christ, not merely as a house surrounds an inhabitant, or as a palace surrounds a prince, but rather as plants and flowers are before the sun that have their life and beauty and being from that luminary, or as the sun may be encompassed round with reflections of his brightness, as the cloud of glory in Mount Sinai surrounded Christ there. 1126. Heaven Perfected, After the Day of Judgment. Solomon’s temple was a great type of heaven, and the prophet Haggai foretells that the glory of the latter temple shall be greater than that of the former, because that the Messiah, “the desire of all nations,” should come into it. Hag. 2:6-8, “For thus saith the Lord of hosts, Yet once, it is a little while, and I will shake the heavens, and the earth, and the sea, and the dry land; and I will shake all nations, and the desire of all nations shall come: and I will fill this house with glory, saith the Lord of hosts. The silver is mine, and the gold is mine, saith the Lord of hosts. The glory of the latter house shall be greater than of the former, saith the Lord of hosts. And in this place will I give peace, saith the Lord of hosts.” I suppose that what was here foretold concerning that typical temple, was fulfilled much more properly and amply concerning heaven itself, when the Messiah entered into it at his first ascension. And it will be fulfilled to a much more glorious degree still at his second ascension, at Christ’s entrance into that heavenly temple, with his glorified and complete mystical body, as well as his natural body, after God has in a literal manner shaken the heavens, and the earth, the sea, and the dry land, and shaken all nations. The beautifying and adorning the temple of Jerusalem so exceedingly but a little before Christ came into it, seems to be some shadow of this, and I believe was intended as a type of it, though not parallel in every circumstance, as the beautifying of it not being at the very instant of Christ’s first entering into the temple, and some other circumstances. This seems also to be typified by the immensely more glorious abode that the ark had in Solomon’s time than that which it had in David’s time. The carrying up of the ark into Mount Zion in David’s time was a type of Christ’s first ascension into heaven, as is evident from Scripture, and the carrying of it up into Mount Moriah, into Solomon’s glorious temple, is a type of his second more glorious ascension into a more glorious abode at the end of the world. David’s militant reign till all the enemies of Israel were subdued under them, was a type of Christ’s present reign in heaven, over his church till the resurrection, which is a militant reign. For till the end of the world he goes on fighting and will continue so to do till all enemies are made his footstool. As yet we see not all things put under him, and the last enemy that shall be conquered is death, which shall be at the end of the world. Solomon’s glorious reign in perfect peace and tranquillity, with all subdued under him, and settled in subjection to him, is a type of the reign of Christ after the end of the world. All enemies shall be subdued: and the place of the ark in his reign, in this glorious and most magnificent temple, was a type of the abode of Christ in heaven, in its advanced glory at the consummation of all things. It is the same heaven, only sublimated and exalted to exceeding greater glory, which is typified by the mountain of the temple, being called by the same name after the ark was removed into it, that the place of its former abode was called by, viz. Mount Zion. So that the ark is represented as never changing its place from Mount Zion, and when it was carried into Mount Zion, God said of it, “This is my rest for ever, here will I dwell; for I have desired it.” Psa. 132:13-14. There is a place somewhere in the universe (perhaps in the central parts of the earth), that is called hell. But hell will be made immensely more terrible after the day of judgment, when instead of that fire in the center of the earth, all the visible universe shall be turned into a great furnace. And probably heaven will be made as much more glorious, after the day of judgment, as hell will be made more terrible. Thus the external new Jerusalem, or the glorious and eternal abode of the church of God (which cannot be excluded from the description in the two last chapters in Revelations, because there is in the description often a distinction made between the city and the saints that are the inhabitants). I say, thus the external new Jerusalem will come down from God out of heaven, i.e. heaven, in this new creation of it, shall come down from the infinitely high and uncreated heaven, in which God had dwelt from all eternity, from which God stoops and humbles himself to behold the things that are in heaven. Thus that will be fulfilled that is proclaimed in Rev. 21:5, “And he that sat upon the throne said, Behold, I make all things new.” The whole creation, external and spiritual, shall be altered, and new formed. And thus the new creation will be parallel with the first creation that Moses gives us an account of, to which it is spoken of as parallel in Scripture. And all the elect creation, which is composed of all elect things in heaven and in earth, shall be gotten together in Christ, and all made new, both spiritual and external, i.e. all that appertains to the elect, not only elect spirits, but their external habitations: their bodies, that are the microcosm or their particular habitations, and macrocosm, that is, the general habitation. There shall be collected all that is elect in heaven or earth, being all perfectly purified by fire, and not mixed with the reprobate part of the world, and all shall be made new, and so is justly called “the new heaven and new earth.” There will be new angels and new men, new bodies and new spirits. Things that are originally of the earth made new, and things originally of heaven also made new. Though the place of the church of Christ (for whose sake chiefly all heaven and earth is made) be different from what it was before, in that she dwells in another place instead of that heaven and earth that was her habitation before, yet it is called by the same name, but only new, as the ark when it moved from Zion to Mount Moriah carried the name with it, only it was a New Zion. When God has obtained his end of the universe that he created in the beginning, when all things are brought to issue into their end at the consummation of all things, and God in the final event appears to be the OMEGA, as he was the ALPHA. Then God will show his mighty power a second time towards the whole, towards the reprobate part of the creation, in terribly destroying it, and towards the elect part, in bringing it to its highest perfection. The elect creatures, who are the eye and mouth of the creation, who are made to behold God’s works, and to give him the glory of them, did not behold the first creation. The angels did not behold the first creation of heaven, that most glorious part of the creation, nor did they see the creation of themselves, and men beheld no part of God’s work in producing the creation. But the time will come when God will make all things new by a new creation, wherein his power towards the whole will be much more displayed than in the first creation. When God shall effect this creation, men and angels shall see God perform it, and they shall see God produce the new heaven and new earth by his mighty power. Men, who saw the creation of nothing in the first creation, shall see the creation of all, and even their own new creation, and angels shall see the creation of heaven and of themselves. All shall see that creation that shall be a work so much more wonderful, and so much greater than the former, that the former shall not be mentioned, nor come into mind. Conflagration. Many suppose the fire of the conflagration will be a purifying fire, by which the heavens and the earth will be refined in order to their standing forth in new perfection and beauty. This is very true, yet not in the manner in which many seem to understand. It will indeed be the fire by which the whole universe shall be purified, i.e. by which it shall be purged from its reprobate parts. All the filthiness of the whole universe shall be gathered into it, there to be consumed. 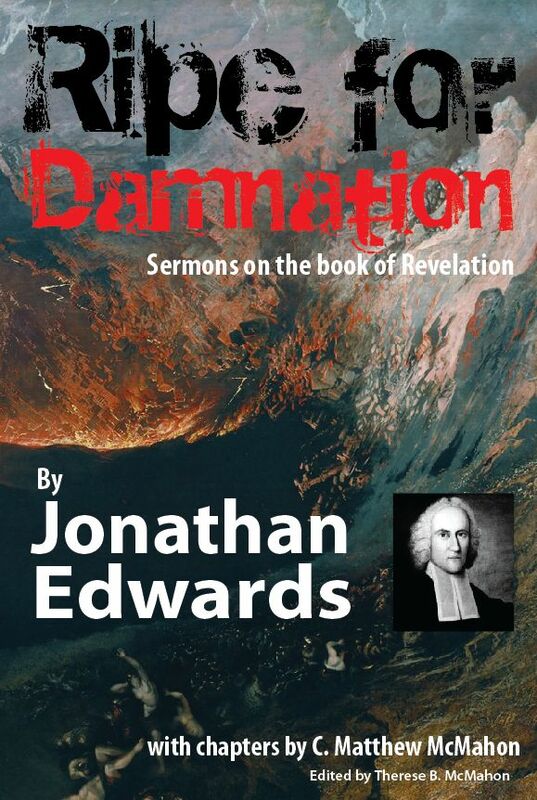 The reprobate part of heaven was removed out of it to be cast into this fire. The filthiness that once was there is consumed here, and so is all that is reprobate and filthy in the earth. It is a purifying fire, as it is the fire of God’s justice and holiness, but the justice and holiness of God shall perfectly purify heaven and earth, and purge all the elect creation from all manner of defilement or mixture of that which is reprobate, whereby it will be fitted to be exalted to its highest beauty and glory. And not only so, but such a wonderful and terrible display of the holiness and justice of God, will be a great means of further sanctifying all the elect universe, setting them at a vastly greater distance from sin against this holy God, and a means of vastly exalting the purity and sanctity of their minds. Many have supposed that the place of the residence of the saints after the day of judgment would be different from what it is before, that the paradise in which the departed souls of saints are now, is different from the heaven into which they shall be admitted after the day of judgment, and that paradise is only a place of rest in which the saints are reserved till the judgment, when they shall be admitted into heaven. Here is a mixture of truth with error. It is true that the habitation of the saints, after the day of judgment, will be new and different, exceeding different, from what it was before, but not in that manner that has been supposed. Not that the place or situation will be different (there is no need of that), but the habitation will be new created, and shall appear with quite new and transcendently more excellent glory. It may be objected against what has been here supposed that Christ, at the day of judgment, will invite his saints to “inherit the kingdom prepared for them from the foundation of the world;” as though it were the same heaven, that was made and prepared for them at the first creation, which they were now going to inherit. Answer. It is the same house then built, not taken down, never shaken or removed, but only made more glorious: as they are the same angels of heaven that were made for the saints, from the foundation of the world, though they shall be so much more glorified that they will be as it were new creatures. As it will be with the angels of heaven, who are the principal part of the kingdom spoken of, so it will be with the external habitation. It was prepared for them at the foundation of the world — the foundation of it was laid then, and has been preparing from the foundation of the world. From that time that the foundation of the world was laid, it has been preparing ever since, in all that has been done to it, and in it, and about it. And not only the kingdom is prepared from the foundation of the world in creating heaven, and in what has been done there from that time, but the creation of the whole universe was made to prepare a kingdom for them, to lay a foundation for their kingdom and dominion, and all that has been done in providence, ever since, has been to prepare a kingdom for them. And these words of Christ are a good argument, that the work of redemption is the end and sum of all God’s works. It was the end of the creation of the whole universe, and of all God’s works of providence in it. Question. By whom and at what time will this glorious work of God, in making the highest heavens new, be accomplished. Will it be done by God the Father in the absence of his Son, while he is here in this lower world taken up in the concerns of the last judgment, to garnish heaven or prepare it for his Son with his blessed bride against their coming? Or will it be accomplished by the Son at his return into heaven with his church? Answer. Not by the former, but by the latter; for the following reasons. 1. All communicated glory to the creature must be by the Son of God, who is the brightness or shining forth of his Father’s glory. And therefore when the eternal world comes to receive its greatest brightness and glory, it will doubtless be by him, and it will be by him as God man. For all that God does by Christ, or the medium of communication between himself and the creature since Christ became God-man, or at least since as God-man he has been glorified and enthroned as Lord of the universe, he does by Christ as God-man, in whom it has pleased the Father that all fullness should dwell, and that in all things he should have the preeminence. As he glorifies the angels and saints who are the inhabitants, so doubtless it will be he who will glorify the habitation. 2. The old creation was by him, the highest heavens were created by him, or without him was not anything made that was made. It was said concerning him, “Thou, Lord, in the beginning hast laid the foundations of the earth, and the heavens are the work of thine hand,” Heb. 1:10. And not only the visible but the invisible heavens were created by him, for his is the image of the invisible God, the firstborn of every creature, and the beginning of the creation of God. For by him were all things created that are in heaven and that are in earth, visible and invisible, whether they be thrones, or dominions, or principalities, or powers. All things were created by him and for him, and he is before all things, and by him all things consist. So likewise the new creation will be by him, for by him God makes the worlds, not only the visible but the invisible world, and not only the present world, but the world to come: that new world, the new heavens and new earth. For God has given him a name above every name that is named, not only in this world but in that which is to come, Eph. 1:21. By the world to come in that place, the apostle seems to mean the new world that shall follow when the age of this shall be at an end, for the word is λιων, Age (this age), and that which is to come, and unto Christ has God put in subjection the world to come. If God committed to him the creation of the old world, much more would he commit to him the creation of the new, for it is his business to renew all things. The creation of the new heavens and the new earth is by the work of redemption, which is his work, and it is a work that he works out as God-man, and therefore as God man he will make the heavens new. All new things are by Christ. The new creature, the new name, the new covenant, the new song, the new Jerusalem, and the new heavens and new earth, are all by Christ, God-man. 3. The destroying the lower world, the reprobate part of the creation, is committed to him, and therefore much more will the glorifying of the elect part of it be his work, for this is his most proper business. The other is his business more indirectly, and in subordination to this. 4. The creation is certainly by him, as to the principal parts of it, viz. the glorifying the saints and angels. He shall build the inner temple, and doubtless, therefore, he will build the outer temple. The glorifying of that, which is his temple the city in the highest sense is committed to him. And therefore, doubtless, the glorifying of that which is the temple and city in an inferior sense will be committed to him. 5. If Christ as God-man shall be the author of this work, he will doubtless be so visibly, for the work is committed to him for his honor. It is an honor that the Father commits to him in reward of what he has done and suffered. It shall therefore be visibly done by Christ, as God-man, and therefore will not be effected in his absence here in this lower world. But he shall be present when it is done, and shall visibly put forth his power and communicate his influence and glory in order to it. 6. If this work were wrought while Christ is here in this lower world judging the world, then this new creation would not be seen by men and angels, which is not to be supposed. 7. If this work be wrought in Christ’s absence, then that world will not be glorified by the presence of the Sun of righteousness, as the face of the earth is renewed and glorified by the return of the sun in the spring. The Lamb is the light, and glory, and sun of the new Jerusalem, and therefore the new brightness and life, vigor, bloom, and beauty, and fragrancy, and joy, of this world, will be from him and from his presence.